Compatible with the v-door grill section, these v-inserts allow for social interaction between your horses and you. They're also safe and smooth, so they won't harm your horse's head. They're a really great horse stall accessory for your barn! You can easily add a horse stall feed door to any stall front that currently doesn’t have one. 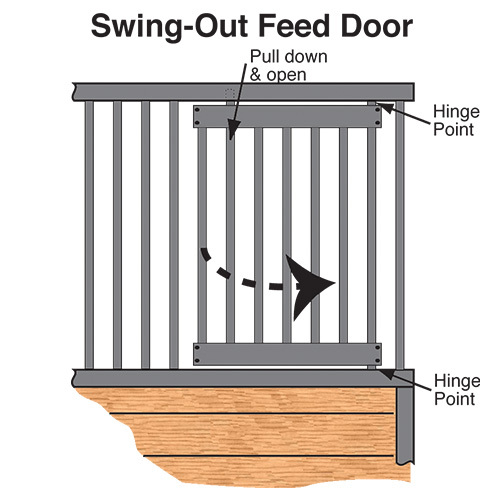 Feed doors are an efficient way to feed all of your hungry horses at once. They come fully assembled and are ready for instant installation. The Essex standard horse stall feed opening is an economical way to feed your horses from the outside of their stalls. This feed opening kit adds both beauty and functionality to your horse stall. 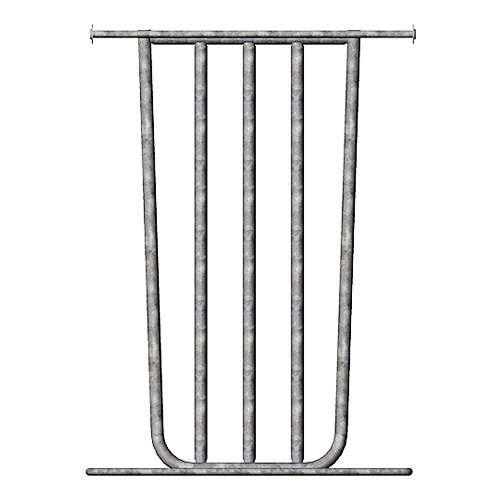 These 16-gauge, 7/8" diameter horse stall grill bars are both economical and rugged. They can be easily removed from the grillwork, allowing you to be able to customize your stalls down the road or if you move, they increase your property value! 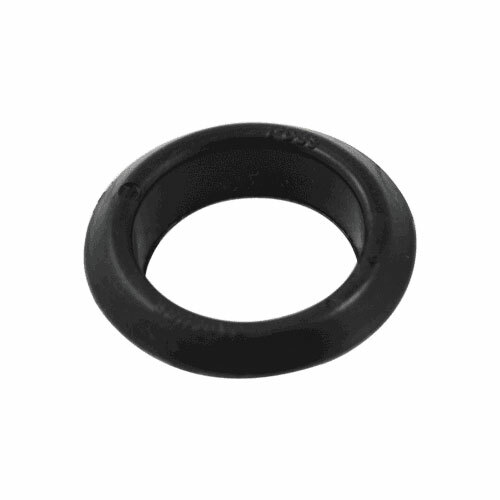 Our heavy-duty horse stall grommets are placed in between the grill channels and horse stall grill bars. They are made of a heavy-grade plastic, designed to keep the bars in place and stopping them from rattling. Sold in packs of 50. 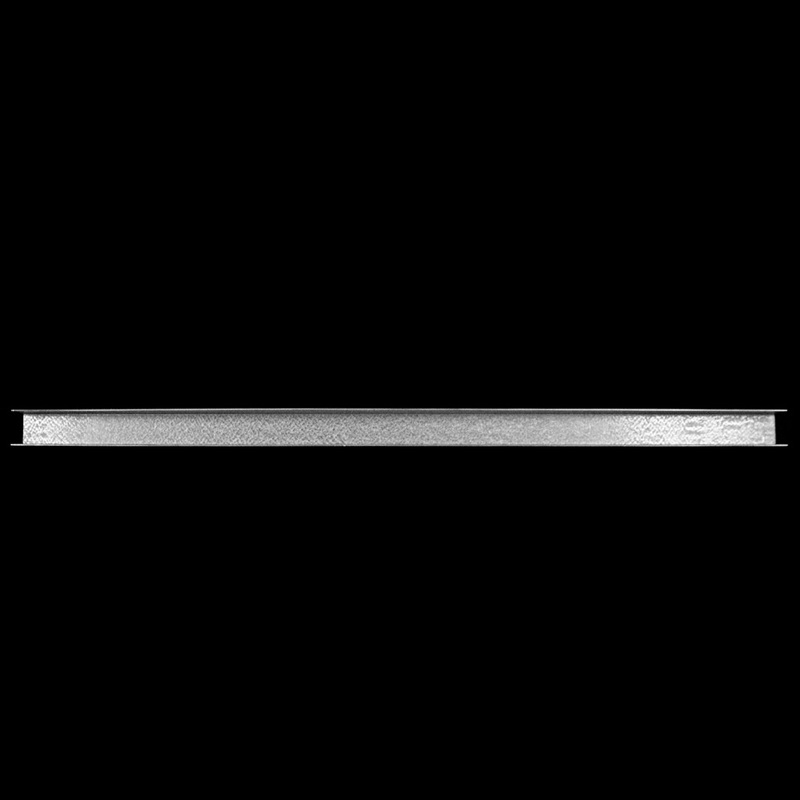 The 48" Essex standard stall door top channel is to be used with Essex stall systems only. 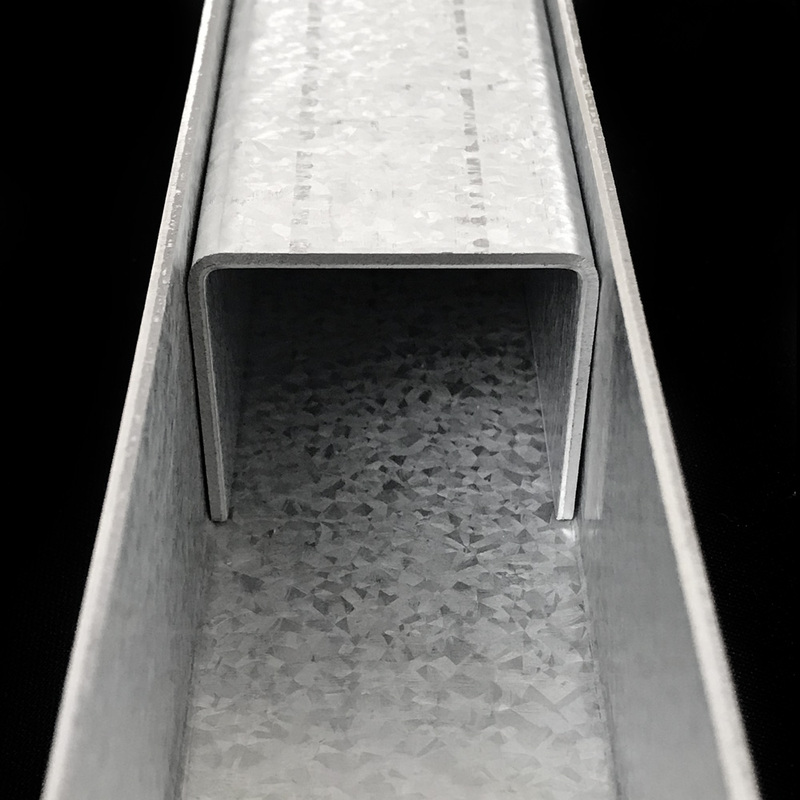 It's constructed from hot-dip galvanized steel, which prevents your stall door and top grill channel from rusting! This 48" Essex standard stall door grill top channel is 48" in length and constructed of galvanized steel, so it's made to last! This grill top channel is only compatible with our Essex standard horse stall doors. The 86¾" stall door side channel replacement part is compatible with our Essex or Derby horse stall systems. This side channel is galvanized, making it very durable. They protect your stalls and prevent cribbing. The 48" stall door bottom channel is only compatible with our Essex standard horse stalls. 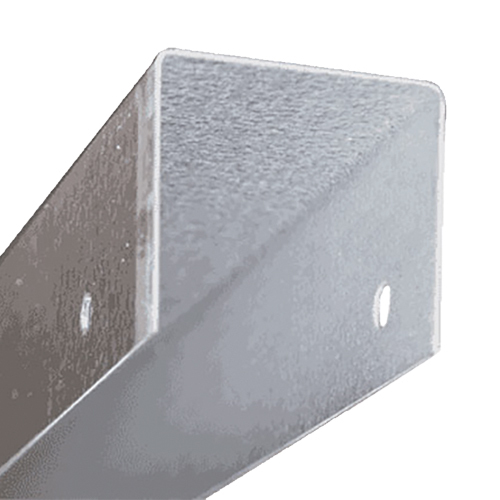 It's constructed from hot-dip galvanized steel, which prevents your stall door and top grill channel from rusting. 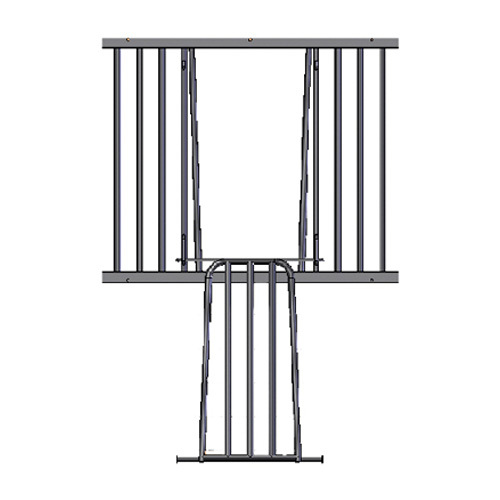 The Essex standard grill channel comes in four different sizes: 48", 65", 72", & 91". The 48" grill channel is also the stall door's bottom grill channel – compatible with our Essex standard horse stalls. 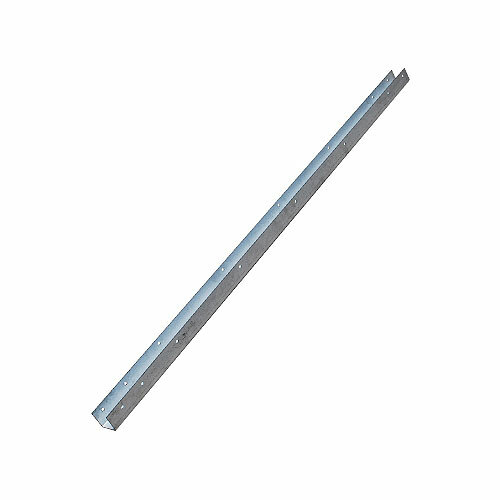 This galvanized 34" stall door insert channel goes on the inside of your door, parallel to the 7/8" stall grill bars. The channel protects your stalls from damage and prevents your horse(s) from cribbing. This 48" Essex standard door full grill channel is constructed from galvanized steel so it prevents rust. This full grill channel replacement part is only compatible with Essex standard stall doors. 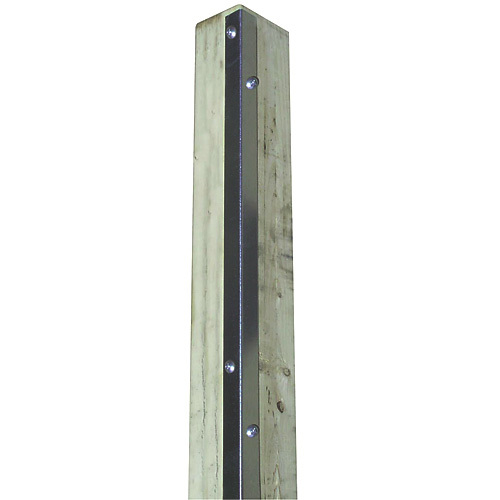 These horse stall u-channels support wooden wall boards between the wood support posts. 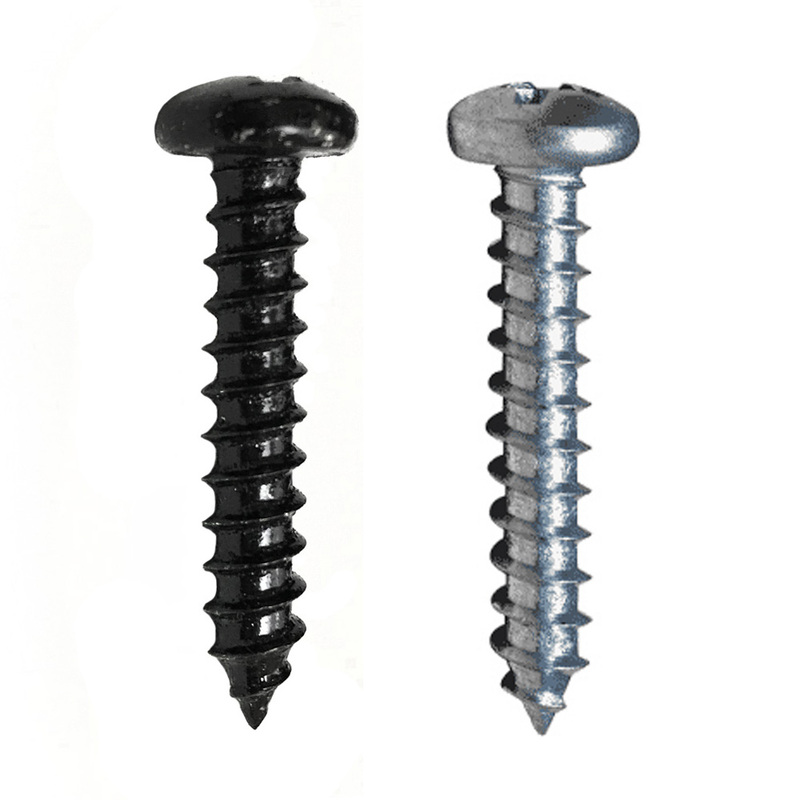 They have pre-drilled holes and feature a rust-resistant zinc coating. 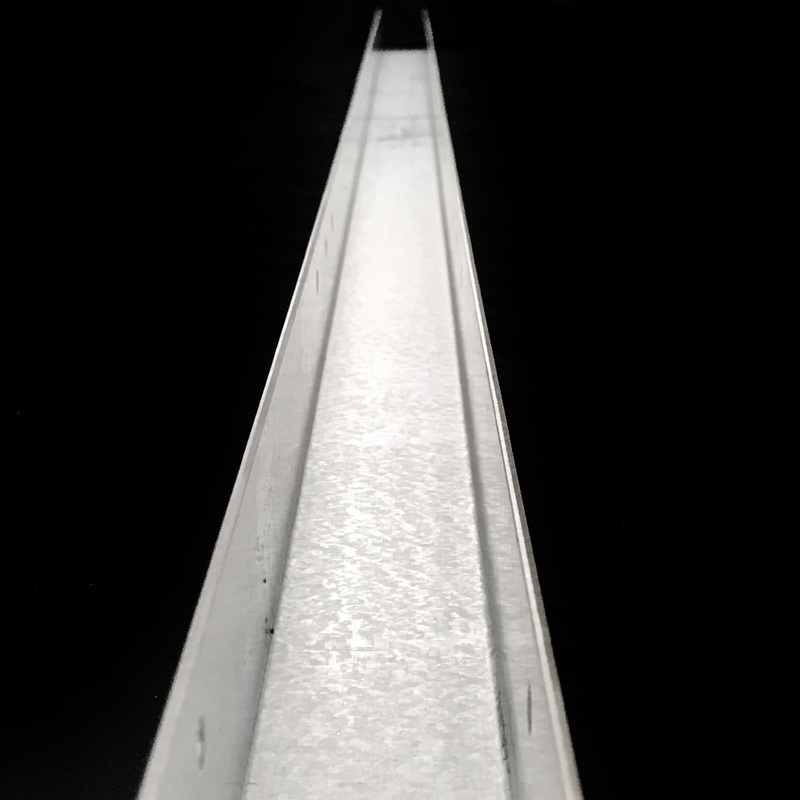 Our u-channels are available in three different sizes: 94.5", 46.5", or 7". Our 93.5" galvanized wall capping slides right over your wooden boards and to prevent cribbing and keeping them looking beautiful for years! No more rough or jagged wooden edges where your horses have been cribbing. Prevent your horse from cribbing and protect your stall walls! Most horses love to chew on exposed wood, such as stall walls and stall posts. 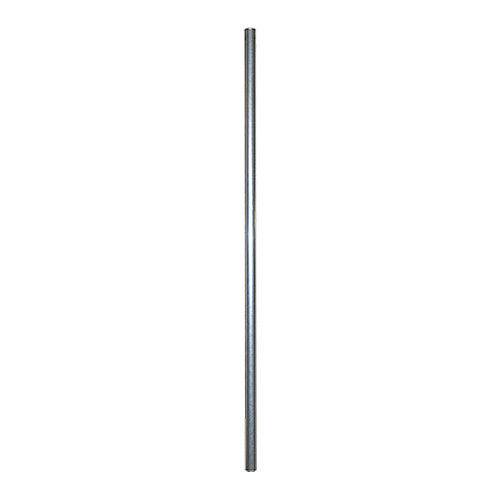 Protect all of your wood edges your horse(s) may come into contact with, with our 93.5" post edging. Our wall braces add extra strength and durability to your horse stall walls by combining the boards together – forming a single, solid wall. They lay flat against the stall wall once secured in place, helping to prevent injury to your horses. 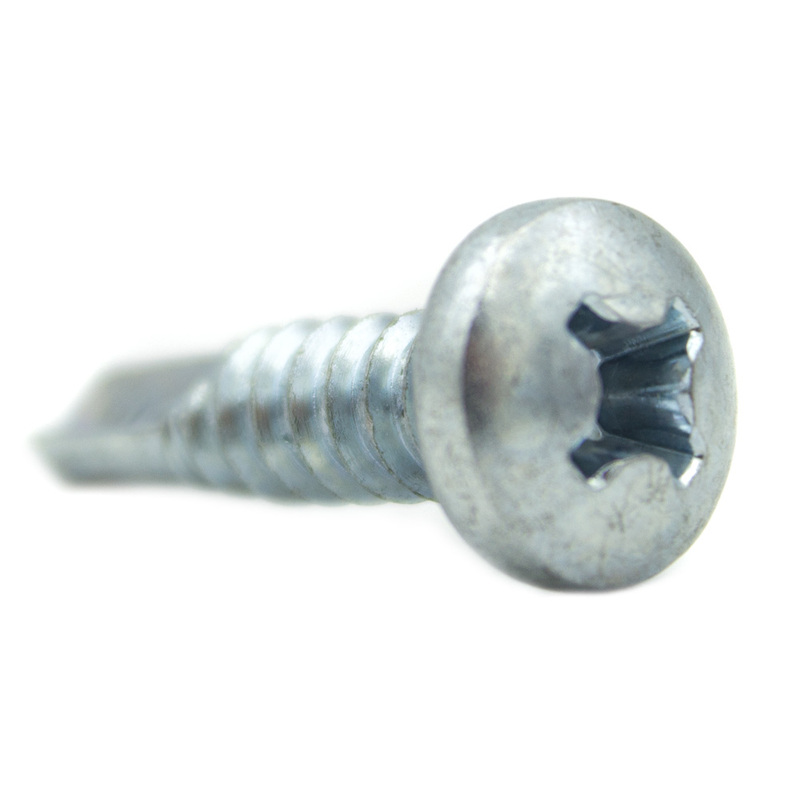 These #14 - 1" zinc-plated long clip screws attach your Premium track latch catch bracket and the 90° Premium track trolleys large flange to your horse stall door's channel. This 33" stall door insert channel goes on the inside of your v-door, parallel to the 7/8" stall grill bars. 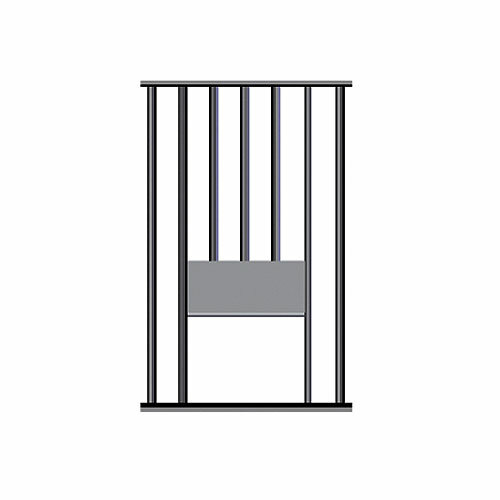 It's constructed of galvanized steel, thus improving your horse stalls durability and rust protection! All of our Essex standard horse stall accessories help ensure a smooth operation and stylish look for your horse stalls. 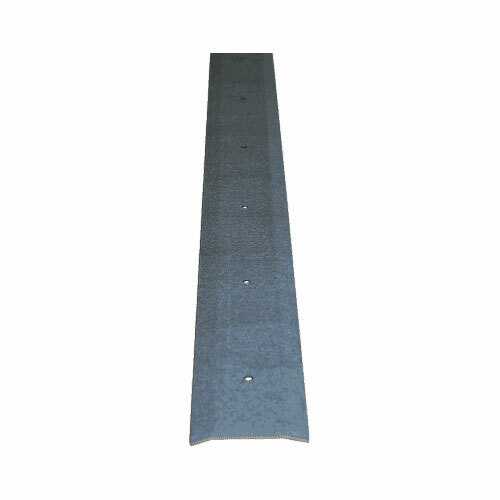 Wall cappings help protect your wall tops from damage, wall braces are used to brace wall boards, and u-channels are used to support wallboards between posts. These accessories are essential for the best maintenance to your barn and many of the parts and accessories can either be galvanized or have a powder-coat painted finish to protect your stalls against rusting.